NEW YORK (AP) — Beer snobs, turn away, Ben Robinson has some hacks involving your favorite, foamy beverage. 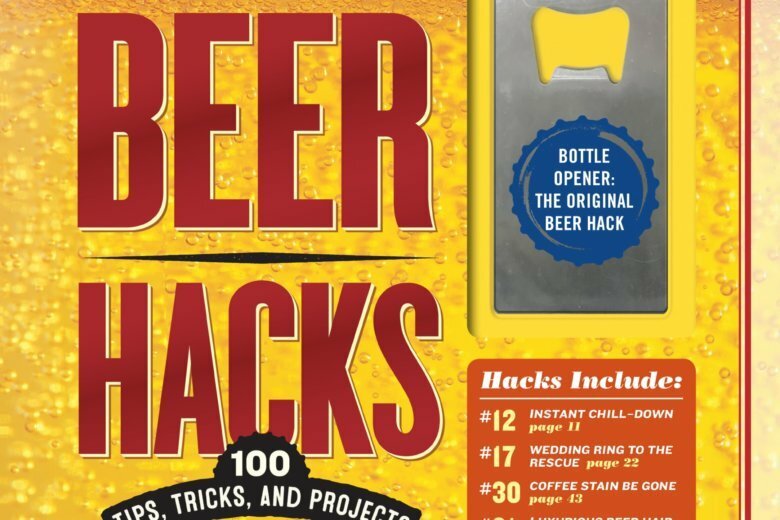 The editor in chief of The Observer has written a handy little every guy’s illustrated guide of 100 tips, tricks and projects involving beer. Heading to Munich for Oktoberfest, or perhaps just out to the ball park? He has the best ways to partake. Oops, forgot that bottle opener. Robinson’s got you covered. Want to stash some for later? You can do that under the right conditions. Find a sturdy disposable lighter and use the end that doesn’t make fire as a lever. Do some magic by folding a standard piece of computer paper in half, then again and again until it’s thick. Six or seven folds should make it stiff enough to do what you did with the lighter. There’s always the open one beer with another beer trick, using the cap. Robinson begs off when it comes to the teeth method. It’s easy to overspend on high-end fridges. Most of the priciest are for wine, anyway. Robinson said resist. Go on Craigslist for a stand-up freezer and purchase a digital temperature control outlet thermostat for $30 or so. It plugs into any outlet and will regulate the temperature of your new freezer to turn it into a perfect beer fridge instead. Set it to about 45 degrees. Beer cans and bottles should be stored upright to last as long as possible. The enemies of beer are light, heat and oxygen. Only brown glass and opaque containers such as cans can stop beer from “skunking,” meaning when light breaks it down and changes the flavor. Also remember, according to Robinson, that not all styles of beer are cellar-worthy. The exceptionally hoppy are intended to be consumed as fresh as possible. Most beers with ABV (alcohol by volume) below 7.5 percent won’t last very nicely long term, he said. Beer isn’t just for getting things dirty. For gold and gold-plated jewelry, drop some into a glass of beer and soak for a bit before polishing. Robinson said “good” beer actually cleans jewelry worse than the very cheap, so bonus. It’s the slight acidity, he said, which also works on greasy, grimy pots. Copper pots especially. In the garden, know that slugs love beer. Bury a plastic cup or a few around plants that slugs have taken to, with the lips of the cups slightly above ground. Fill three-quarters of the way up with light beer. No, you won’t get every single slug to slime on over, drink and fall in, plus it’s ethically your choice to decide on their beer deaths. A hack for the weary: Pick up a bag of hops at a local brewing supply shop or order online. You’ll need “leaf” hops, not pellets. Rub liberally on your pillowcases for some help falling asleep. At beer fests, take advantage of those long lines to pace yourself, plus the beer’s probably better than those to be had in the shorter lines. Also, realize that Oktoberfest in Munich actually began in September.